Every once in a while, we have the privilege of photographing weddings that are different than the rest. Kathryn and Michael were that couple last May at Hoosier Grove Barn. Besides the barn having a beautiful, intimate-rustic feel, they chose to get married and celebrate in the same beautiful place because they could personalize their day to what they wanted. They wanted their day to be a reflection of them as a couple and for their closest friends and family to have a wonderful time. The Bride chose a cream Bridesmaid dress from Nordstroms and personalized it with a beautiful capelet. The groom, who is a drummer, played for his bride walking down the aisle. Where they stood and were married was decorated with the Bride’s old prom dresses of blues. Their attendants were the Bride’s 3 brothers, and the groom’s 3 sisters. And, the craft brews they danced the night away with came from their favorite Brewery in Indiana. 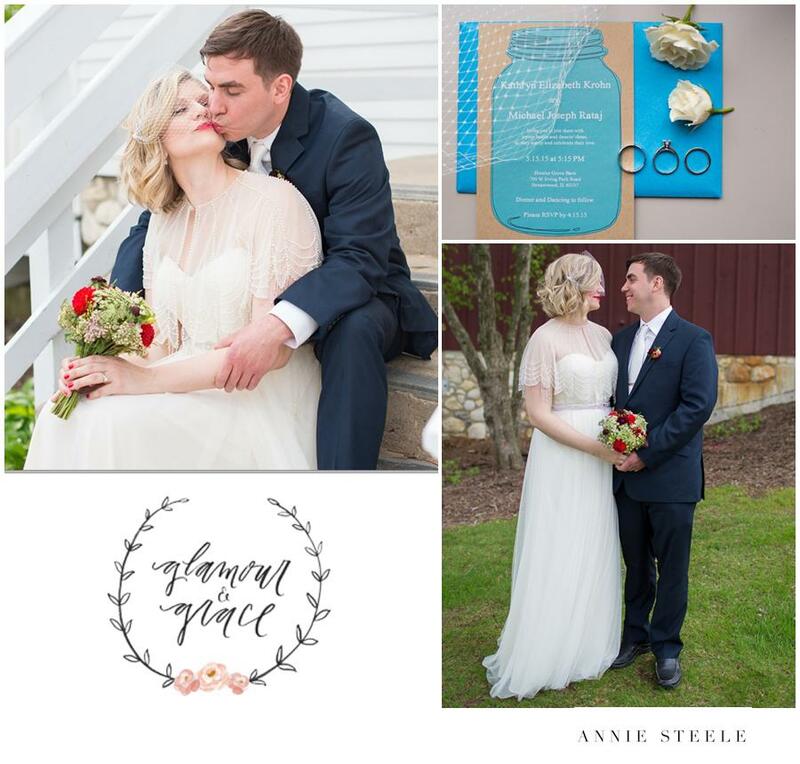 I was honored to see Glamour and Grace loved this wedding just as much as I did! We were honored to see it featured and you can see the full feature HERE! Oh happy day, friends! P.S. If you missed this wedding and all it’s homemade glory, you can visit the Blog post HERE!